Although being a nurse is something I really would love to do as a potential job, I have already had so much experience in a hospital that I am interested in shadowing my aunt, who is a personal trainer. 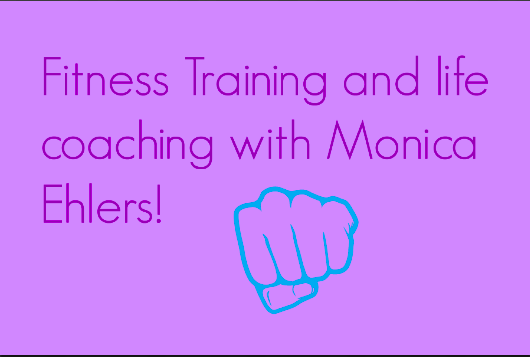 My aunt Monica Ehlers has been a personal trainer for several years. She has her own training center in her garage for her several clients that my uncle created for her many years ago. Her business is very successful and it is something she loves to do. My aunt focuses primarily on exercise techniques, getting into shape, and maintaining a good nutrition. She is also a life coach, which goes really well with her training side. Although nursing is something I would love to do, nutrition and personal training has always been an interesting profession to me, and I would love to see my aunt’s job in action, and seeing what she does on a day to day basis. I also think that this job relates significantly more to Sports Medicine than nursing. Monica knows a lot about sports-related injuries, and has had several clients with injuries related to sports or other muscle or joint problems. She is very good with tips on how to protect muscles and other body parts before and after exercise, and also in general. She has many tips on stretches and other ways to maintain a healthy life, physically and mentally.